Das Forschungsprojekt KERNiG zu nachhaltigen kommunalen Ernährungssystemen präsentiert am 25. 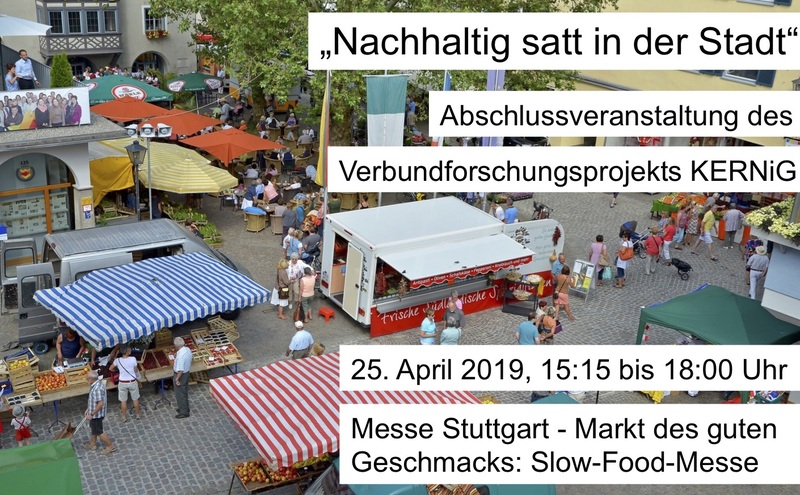 April 2019 auf der Slow-Food-Messe in Stuttgart seine Ergebnisse. Die Ernährung ist aus Konsumsicht für etwa ein Drittel des ökologischen Fußabdrucks verantwortlich und daher ein wichtigerer Faktor für die Nachhaltigkeit. Ernährung müsste entsprechend auch in den Nachhaltigkeitsbestrebungen von Städten ein drängendes Thema sein. Das Verbundprojekt „Kommunale Ernährungssysteme als Schlüssel zu einer umfassend-integrativen Nachhaltigkeits-Governance“ (KERNiG) der Universitäten Freiburg, Kassel, Friedrichshafen, des Forschungsinstituts für biologischen Landbau sowie NAHhaft e.V. zeigt am Beispiel von Leutkirch im Allgäu und Waldkirch im Breisgau auf, wie sich Ernährungssysteme kommunalpolitisch in Richtung Nachhaltigkeit verändern lassen. How can trees help you find health and happiness? Join Dr. Qing Li, a global leader on forest medicine, and Julia Plevin, design entrepreneur and healing specialist and Sibylle Roth, Ph.D. candidate at our chair researching ‘Muße’, a German concept related to mindfulness and forests. Looking for an exciting Bachelor/Master thesis topic? 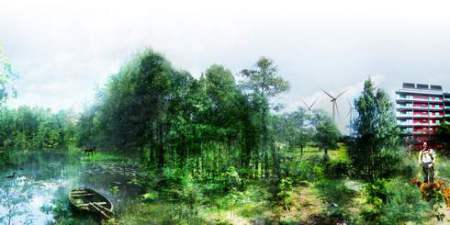 the chair group Forest and Environmental Policy invites students to the presentation of topics for Msc/Bsc thesis in the field of forest and environmental policy on 14th Feburary 2019, 14:30-15:30h in the seminar room/library Herderbau 4th floor. The topics that are currently offered for Msc/Bsc thesis will be presented by the supervisors followed by the possibility to talk about details on requirements, timeframe etc. There is also the possibility that students who bring their own ideas for thesis topics talk to potential first or second supervisors at the proposed date. The wolf attracts big crowd! The seminar “Der Wolf - eine sozialwissenschaftliche Auseinandersetzung“ filled the room on the evening of the 15th of January. Since 2012 there are wolves both in Denmark and the Schwarzwald in Germany. Ever since scholars and other observers in both countries have seen a conflict escalation with fake news and myths spreading like fire throughout different media. Yesterday’s seminar aimed at giving new perspectives on the wolf issue from different social science disciplines and reflect upon future opportunities for a more constructive debate about wolfs in society. Dr. Stefan Ehrhart from the FVA Freiburg gave a general introduction about the wolf in Germany and presented results from their recent survey focusing on stakeholders’ values and believes related to nature and wildlife in and around the North Schwarzwald National Park. The seminar moved on to the cultural anthropological perspective and the presentation by Dr Marion Mangelsdorf, University of Freiburg. She gave an overview of Human Animal studies and different perspectives on animals, especially wolves, throughout history. Did you know it was only in the early 19th century that philosopher Jeremy Bentham opened up for the discussion that animals should be protected from suffering within the frames of the law? How we regard animals has consequences for how we should approach the management of Wolves, Marion concluded. The final presentation by Dr Hans Peter Hansen, Aarhus University (Denmark) gave some hope concerning the possibilities to find common grounds to discuss the future of the wolf - at least in Denmark. The majority of wolves in Denmark are located in North-Western Jutland where Hans Peter together with colleagues have facilitated a citizen dialogue regarding the future of the wolf in the area. To their surprise they found that there are not so many extremists among the local populations, but that many are ambivalent when it comes to the wolf’s existence locally. This means that there is a possibility to find common stand points and pathways through deliberation. We thank the speakers for their interesting and through-provoking presentations and the audience for their interest and good questions! Am Montag den 14. Januar um 10:30 Uhr wird Frau Prof. Claudia Pahl-Wostl von der Universität Osnabrück einenVortragzum Thema "Transforming Water Governance: A diagnostic approach" halten. Die Verantaltung findet im Seminarraum 400, Herderbau, Freiburg statt und alle sind herzlich eingeladen. das kommende Seminar Institut für Forstwissenschaften findet am 15.01.2019 statt und widmet sich dem sehr aktuellen Thema „Der Wolf – eine sozialwissenschaftliche Auseinandersetzung“. Zu diesem Seminar sind Sie herzlich eingeladen. Dr. Metodi Sotirov from our chair, together with Dr. Georg Winkel from the European Forest Institute hosted a two-day authors’ workshop here in Freiburg between the 5th and 6th of December. The goal of the workshop was to present and discuss leading policy and natural scientists’ scientific contributions for a special issue that will address the “Global Forest Environmental Frontier”. The frontier concept shows diverse facets including policy and economy led changes and functional tensions at the bio-physical borders between different land uses such as forestry, agriculture, nature conservation, and water management. It also deals with policy changes and management conflicts between actors and institutions from the forestry, environmental and land use sectors. The main substantive foci include controversies related to deforestation, forest degradation, illegal logging and associated timber trade, as well as livelihoods issues in the Amazon, Central Africa, China, Russia, and South-East Asia. Further important foci are forest biodiversity loss, the controversial role of forests and forestry in climate change mitigation and adaptation, forest sustainability risks (e.g., forest fires) and conflicts over multiple competing forest uses in Europe, Canada, the US, Australia and New Zealand. The special issue aims to take stock of, review and synthesize the socio-environmental research efforts in policy analysis, environmental governance, sociology, political economy and political ecology that have been conducted along this frontier in the forest regions of the world. It will also give a broad overview and comparative synthesis of the current state, dynamics, and possible future directions of the “Global Forest Environment Frontier”. The international authors’ workshop brought together regional insights and analytical perspectives building upon reviews and original thematic contributions relating to major topics along the forest environment frontier. The special issue is planned to appear in 2020. The organizers of the workshop are grateful to Stihl Foundation for the generous financial support for this event. Prof Dr. Daniela Kleinschmit discussed today, 20th of November 2018, the importance of circular forest-bioeconomy, during the Forest-based sector technology platform (FTP) conference 2018, held in Vienna, Austria. The focus of this year's conference is on "Vision 2040: the future role of the forest-based bioeconomy in Europe". The FTP conference 2018 is an event of the Austrian EU presidency, organised by the Forest-based Sector Technology Platform. Our chair is offering a PhD position on "Agroforestry in Southern Africa - new Pathways of innovative landuse systems under a changing climate". The position is part-time (65 %), Start-date: At the earliest possible date. The position is limited to 30.11.2021. Exceptional results in a Master Programme on social sciences and environment. Knowledge of working with different disciplines and practitioners. Are you interested in intercultural dialogue, transdisciplinarity, urban transformation and sustainable land use? The core topics will be education, communication and training. Find more details on the dialogue and the registration HERE. We are happy to welcome Dr. Peter Edwards, researcher at the New Zealand Forest Research Institute to our chair! He has come for a week of research collaboration on the topic of participation in relation to a potential LBA on forests within the EU. Last month, a roundtable meet was organized in Bratislava for finding a cause of action. Peter together with Prof. Dr. Daniela Kleinschmit attended the meeting as observers. During his time here in Freiburg, Peter hopes to advance some research papers and connect with research colleagues before he continues to TESAF, University of Padua in Italy for a 1-month fellowship. Thank you Peter, and see you next year! Peter Kanowski, professor at the Australia National University (ANU), has been guest professor here at the chair for the last three weeks, teaching the professional course International Forest Governance to students and practitioners. Peter has been visiting our institute every summer, for a couple of years now, sharing his experience with students from Freiburg and around world. We thank Peter for his excellent efforts during the course and look forward to having him here again next year! Das seit Monaten erwartete Urteil des Bundesgerichtshofs, das die Aufhebung des Beschlusses vom 9. Juli 2015 und des Urteils vom Oberlandesgericht Düsseldorf beinhaltet, hat konkrete Auswirkungen auf die aktuelle forstpolitische Forschung. Vor diesem Hintergrund ist fraglich, ob die bis dato geschaffenen Strukturen der Betreuung im Privat- und Kommunalwald bestehen bleiben, wie sie weiterentwickelt werden und inwiefern forstliche Akteure den eingeschlagenen Weg fortsetzen. Die Betrachtung dieser Pfadabhängigkeiten ermöglicht neue Erkenntnisse zur Entwicklung der Kooperationen im Privat- und Kommunalwald. Die Projektförderung durch die Eva Mayr-Stihl Stiftung ermöglicht diese politikwissenschaftliche Begleitforschung. Today we are happy to congratulate Ophelia Soliku from our chair for successfully defending her PhD thesis. Ophelia's work focused on comanagement and conflict resolution in national parks in Ghana and Germany. Her work was supervised by Prof. Dr. Ulrich Schraml from the FVA and Prof. Dr. Ilse Storch, chair of Wildlife Ecology and Management. The thesis committee evaluating Ophelia's work additionally included the head of our chair Prof. Dr, Daniela Kleinschmit and the head of environmental governance, Prof. Dr. Heiner Schanz. This year's DIABOLO Annual Project Meeting took place in Madrid, Spain between 28-29 May 2018. Tanya Baycheva-Merger represented our chair at the meeting. The event brought together all DIABOLO consortium members at the INIA – Instituto Nacional de Investigación y Tecnología Agraria y Alimentaria. Members presented the results of the different project work packages and discussed the final steps for the project wrap-up next year. The head of our chair, Daniela Kleinschmit provided input to the FOREST EUROPE workshop "Enhancing the Long-term Competitiveness of the Forest Sector in a Green Economy: policies for forest-based bioeconomy in Europe" discussing the needs for international governance. The event was held in the Norway House, Brussels. Belgium. The event brought together a diverse group of stakeholders, ranging from policy makers, researchers and businesses from across the pan-European region to discuss issues of the forest sector competitiveness, and look for effective policy measures at international, national and regional levels. The planet has a fever! Polycentric Climate Governance after Paris? 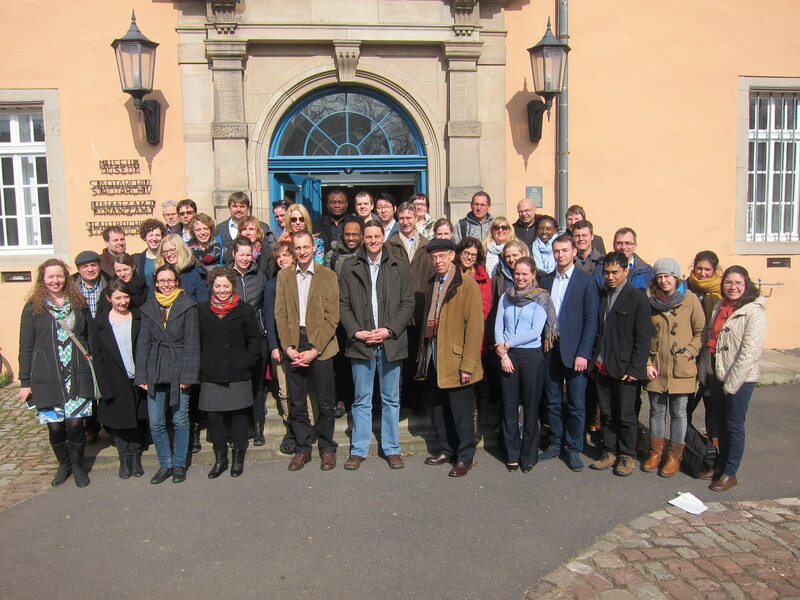 Early career Researchers from the INOGOV ECIN network, together with other researchers, students and other stakeholders convened a workshop on “Polycentric Climate Governance after Paris: Expectations, Challenges and Pathways” from 12-14 April in Freiburg, Germany. A team from the University of Freiburg and the Technical University of Darmstadt organized the workshop, which had attracted funding from the Freiburg Institute for Advanced Studies. The program featured a series keynotes by Jonas Schönefeld, Professor Frank Biermann, Professor Philipp Pattberg and Dr Sabine Reinecke. One of the highlights of the evening was a short skit from the Freiburg Scientific Theatre. The public event concluded with the presentation of the three best photos submitted to the “Prima Klima Freiburg” competition, an event sponsored by the Sustainability Center Freiburg. During the following days, the workshop participants presented scientific paper drafts and received feedback from peers and renowned professors from the field of climate and sustainability governance. The workshop was characterized by its interactive formats like 'Walk and Talk' and a 'World Café'. Many discussions asked to what extent polycentric governance is a helpful concept to study efforts to contain or deal with climate change. Outputs include a new ResearchGate group, and new ideas for future publications and workshops. A hundred participants from 20 countries participated in the Second International Forest Policy Meeting held in Wageningen, The Netherlands, between the 11 to 13 April 2018. The even brought together social scientists from different fields of expertise related to European and international forest policy. Several members of our chair participated at the event and held presentations: Daniela Kleinschmit, Andy Selter, Ida Wallin, Alex Giurca, Eulalia Baulenas and Matthias Sonnhoff. We are looking forward to the next meeting which will be held in Copenhagen in 2020. Do you know what polycentric climate governance means? community has entered a new era ofclimate cooperation. Rather than asking governments to solve everything, all sorts of public and private actors actively engage in global climate action. Examples are innovative business or finance models, implementing standards and certification, or NGO activism. Academically, such co-operation of state and non-state actors is not a new phenomenon. However, its impacts have not been sufficiently investigated to allow for a complete picture about their potentials, as well as about risks and limitations. At this public event, local and renowned international climate governance scholars will discuss with the audience whether and how such polycentric settings may actually contribute to effective climate policies. The event aims to build on innovative formats, such as Inspiring Climate Talks and a short performance by the Freiburg Scientific Theater, which are both informative and entertaining ways of spreading knowledge, ideas and to provoke thoughts and discussions. Please join our discussions on climate governance and have fun! 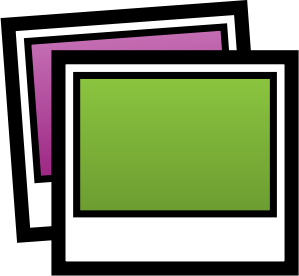 Participate in our Photo Competition! A consortium of eight research institutes has received funding for networking activities "Perceiving the Forest-based Sector in the Bioeconomy" (PerForm). The Group starts its activity in april 2018 and aims to better understand regional disparities of national bioeconomy policies and the perceptions of a forest-based bioeconomy. The network will provide the opportunity to coordinate research endeavours, produce replicable studies and comparative results (e.g. similar research design) in order to compare the level of acceptance and integration of the forest-based sector into national bioeconomy policies and the perception and acceptance of forest stakeholders and urban consumers of a forest-based bioeconomy.The main outcomes of this cooperation network are: scientific publications, an online information platform as well as an e-learning course about the forest-based bioeconomy. The project is coordinated by the head of our chair, Daniela Kleinschmit. Consortium partners include: University of Helsinki (Finland), Swedish University of Agricultural Sciences, University of Natural Resources and Life Sciences (Austria), National Research Institute of Science and Technology for Environment and Agriculture (France), University of Padova (Italy), Technical University in Zvolen (Slovakia). Daniela Kleinschmit participated as one of the panelists in the session on the “Role of Science and Research” at the international conference in “Working across Sectors to Halt Deforestation and Increase Forest Area – from Aspiration to Action” organized by FAO and CPF held in Rome from 20th-22nd of February 2018. She described deforestation as a "wicked problem" deserving comprehensive knowledge but due to its character providing a challenge for research. Daniela Kleinschmit asks for orchestrating different forms of knowledge in the already existing global network governance. The EU H2020 funded project DIABOLO organizes a series of European dialogue groups workshops. These are a timely workshops to discuss the challenges facing the European forestry sector in relation to the demand, provision and exchange of information for sustainable forestry and forest-related policies. Our chair, together with the Austrian Research Centre for Forests (BFW) and the Swedish University of Agricultural Sciences (SLU) organized the latest workshop, which was held between the 13th and 15th of February at the European Forestry House in Brussels. The workshop is kindly supported by the Confederation of European Forest Owners (CEPF) and the European State Forest Association (EUSTAFOR). The output of the workshop will be of interest to established National Forest Inventories and to countries embarking on NFI for the first time. The outcomes are expected to contribute to relevant key actions of the new EU Forest Strategy, ongoing discussions for a Forest Information System for Europe (FISE), and other European forest relevant monitoring and reporting processes (e.g., FOREST EUROPE SFM reporting, Natura 2000 monitoring, EU climate and bioenergy targets and LULUCF accounting). Wie kampagnenfähig sind eigentlich Forst- und Holzwirtschaft? Kommunikation in und mit der Gesellschaft, ist ein Thema, dass den Forst- und Holzsektor seit langem umtreibt. Daher stand die „Kampagnenfähigkeit“ im Zentrum des 38. Freiburger Winterkolloquium Forst und Holz 2018 . Im Rahmen des Kolloquiums wurde das Thema anhand von Beiträgen ausgewiesener Expertinnen und Experten aus Theorie und Praxis, aus dem Sektor und über den Sektor hinaus beleuchtet. Damit wurden neue Einsichten ermöglicht und eine informierte Diskussionen initiiert. Die Professur für Forst- und Umweltpolitik hat die Veranstaltung gemeinsam mit vier weiteren Professuren (Forstökonomie und Forstplanung, Environmental Governance, Forstliche Biomaterialien und Forstliche Verfahrenstechnik) der Fakultät für Umwelt und Natürliche Ressourcen, organisiert und durchgeführt. Wir danken allen Redner*innen und Teilnehmer*innen für die interessanten Diskussionen und freuen uns aufs nächstes Jahr. Three researchers from our chair: Prof. Dr. Daniela Klienschmit, Alex Giurca and Dr. Metodi Sotirov participated in the latest 'What Science Can Tell Us' study from the European Forest Institute. The study is titled : 'Towards a sustainable European forest-based bioeconomy- assessment and the way forward' and assesses the scientific evidence and provides a synthesis of existing knowledge for policymakers on the importance of forests and the forest-based sector in contributing to the future European bioeconomy. It assesses the economic, social and environmental sustainability of a forest-based bioeconomy, and looks at issues that may affect its development. Our colleagues were part of the 48 scientists from 27 research institutes in 12 countries to contribute to the report. Prof. Dr. Christopher Weible from the University of Colorado Denver, School of Public Affaires, USA held a key note talk during a public seminar event, hosted by the University of Freiburg, Faculty of Environment and Natural Resources. The event took place on Monday, 4th of December, in seminar room 400, Herderbau, Tennenbacher Str.4. During the guest visit, Prof. Weible held a well-attended and well-received public lecture on “Analyzing and Understanding Environmental and Land Use Policy Conflicts” at the School of Environment and Natural Resources, University of Freiburg. In addition, Prof. Weible gave valuable feedback to PhD researchers at the IFP working on analyzing environmental, natural resource and forest policy issues. He also provided useful teaching to and training of students enrolled in MSc “Environmental Sciences” taking classes in a module on “Analysis of Environmental Policy”. Why do we need a European circular economy strategy? What should its main ingredients be? 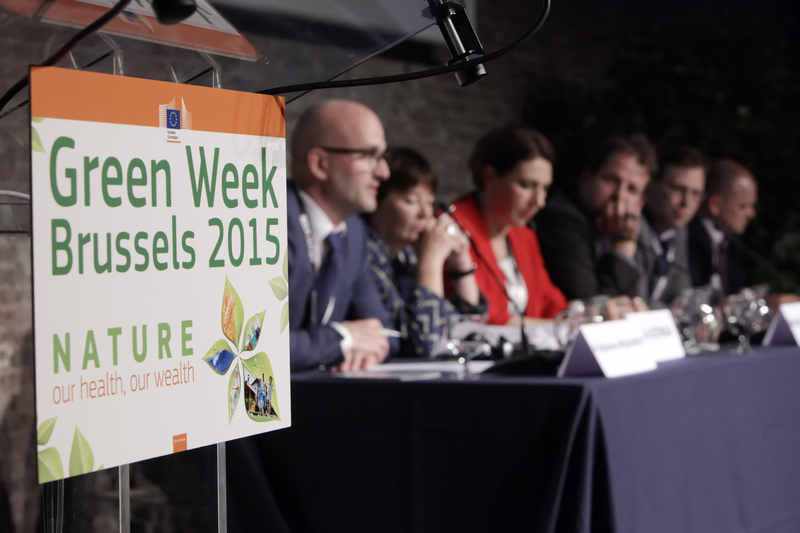 What is the outlook for a sustainable European forest bioeconomy? The presentation was received very positively by representatives of the European Commission, the European Parliament, Member States, stakeholder groups and scientists, with widespread approval, agreement, and frequent reference to the study. This new What Science Can Tell Us Study, commissioned by the European Forest Institute and funded by a Multi-Donor Trust Fund for Policy Support, bridges important gaps in scientific and practitioners' knowledge. It looks from policy, economic and ecological perspectives at the monitoring of forest biodiversity in Europe, as well as the challenges, achievements, effectiveness and efficiency of the implementation of Natura 2000 in forests in the EU. Professor Lucca Tacconi from the Crawford School of Public Policy at the Australian National University is a short term guest researcher at the Chair of Silviculture and Chair of Forest and Environmental Policy. We were pleased to have him at our institute. On September 25th Lucca presented his work on “Forest and Corruption”. We look forward to future collaborationswith him and his team in Australia. Die Bioökonomie – Modewort oder Zukunftskonzept? Since 1996 the King of Sweden awards scholarships to young researchers from Swedish Universities. The Foundation's purpose is to promote research, technological development and entrepreneurship, which contributes to the sustainable use of natural resources and conservation of biodiversity. Our colleague, Ida Wallin was among this year’s honored nominees and was granted a scholarship of 100 000 SEK for international collaborations with the purpose to develop sustainable private forestry. Ida is grateful for the nomination by colleagues at SLU and expresses her sincere thanks to the committee for granting her the scholarship. She is now looking forward to make good use of the money in future research endeavors. Eine Milliarde Menschen sind weltweit auf den Wald als Lebensraum angewiesen. Illegale und legale Entwaldung als Folge gefährdet sowohl ihre Lebensgrundlage als auch gesellschaftliche und wirtschaftliche Strukturen und wirkt sich schädlich auf das globale Klima aus. Prof. Dr. Daniela Kleinschmit äußert sich über Ursachen und Konsequenzen der Entwaldung in einem Interview für BIOPRO. The annual forest policy meeting was hosted this year by colleagues from the university of Zvolen Slovakia. The three day event took place in the beautiful village of Stupava, close to Bratislava Slovakia. This year's event brought together forest policy researchers from all German-speaking countries (Germany, Switzerland and Austria) as well as researchers from the Netherlands and Slovakia. The presentations and discussions were divided into different sessions, such as "Bioeconomy and knowledge transfer", "Society and ecosystem services" and "Actors and policy". The three day event also included an excursion around the beautiful city forest of Bratislava, where participants learned more about the everyday challenges and efforts of local forest rangers for keeping the forest in good shape. Three participants: Alex Giurca, Michael Stein and Eulalia Baulenas represented our chair at the conference. Alex and Michael both held presentations on actors and beliefs regarding the wood-based bioeconomy in Germany. All presentations (in German) held during the event can be found here. More than 40 renowned scientists from around the world, coordinated by the International Union of Forest Research Organizations (IUFRO) on behalf of the Collaborative Partnership on Forests (CPF), contributed to the report, which was launched at the conference of the Convention on Biological Diversity (CBD) in Cancún, Mexico. Apart from the scientific chair of the report, three contributing authors ( Daniela Kleinschmit, Metodi Sotirov and Sina Leipold) are from our chair. Daniela Kleinschmit participated in the confernce. The take home message: "no one-size-fits-all solution"
"Policies must embrace the major dimensions of the problem, namely illegal forest conversion, informal logging and all other illegal forest activities including forest crime", said Daniela Kleinschmit, about the assessment in "Illegal Logging and Related Timber Trade". "There is legislation in place in the USA and the EU, for example, to stop illegally harvested timber entering their markets. Theses policy responses might have increasingly positive impacts in the future, but they are by far not enough as these programs do not address the different dimensions associated with illegal logging", she said. Check out the latest IUFRO report titled "Illegal Logging and Related Timber Trade - Dimensions, Drivers, Impacts and Responses” edited and co-authored by three of our chair colleagues: Daniela Kleinschmit, Metodi Sotirov and Sina Leipold. The report set out to gain deeper understanding of the meaning of illegal logging and related timber trade, its scale, drivers and consequences. It provides a structured synthesis of available scientific and expert knowledge on illegal logging and associated timber trade while adding to existing studies and reports by sharing new insights, including a criminology perspective and new information about timber and timber product trade flows as well as exploring future policy options and governance responses. Between the 6th and 18th of November, a delegation of the University of Freiburg with students, PhD Students and other researchers - headed by Dr. Sabine Reinecke from the chair of Forest and Environmental Policy - participated in the 22nd Conference of the Parties to the UN Framework Convention on Climate Change (UNFCCC), which took place in Marrakesh, Morocco. The conference started after the celebration of the ratification of the Paris Agreement on the 4th of November 2016, a remarkable fast process in comparison to the Kyoto Protocol. The conference brought together over 22 500 participants, including around 15 800 government officials, 5 400 representatives of UN bodies and agencies, intergovernmental organizations and civil society organizations. The chair members Dr. Sabine Reinecke and Mareike Blum were on site to follow the negotiations, side events and discussions to complement their ongoing research activities with a focus on transnational forest climate governance, REDD+, deforestation policies, climate finance and emission trading mechanisms under Art. 6. The negotiations were mainly about spelling out the technical rules of the Paris Agreement, e.g. how countries should report on the progress of their National Determined Contributions (NDCs). Part of this were also the discussions over accounting methods for the agriculture and forestry sectors, which was however slowed down by the divide between the major agricultural countries in the G77 group (Brazil, Argentina, India, etc.) and industrialized countries. After the election of Trump, which fell in the first week of the conference, the international community sent the clear signal to continue their efforts to implement the Paris Agreement and endorsed the Marrakesh Action Proclamation. Ein neues, an der Universität Freiburg koordiniertes Verbundprojekt will am Beispiel der baden-württembergischen Kreisstädte in den kommenden drei Jahren Möglichkeiten für die Integration von Ernährungssystemen in die nachhaltige kommunale Entwicklung erforschen und anstoßen. Dafür erhalten die Partner eine Förderung von circa 1,1 Millionen Euro vom Bundesministerium für Bildung und Forschung. An dem Vorhaben beteiligen sich an der Universität Freiburg die Professur für Environmental Governance von Heiner Schanz, die Professur für Sustainability Governance von Michael Pregernig und die Professur für Forst- und Umweltpolitik von Daniela Kleinschmit. CIRCULUS project is hiring ! Positions are 4 year fixed term, starting March 2017.
einen Doktoranden/eine Doktorandin wird gesucht ! Die Professur Forst- und Umweltpolitik der Universität Freiburg sucht zum nächstmöglichen Zeitpunkt einen Doktoranden/eine Doktorandin "Politikintegration" in dem Projekt KERNiG "Kommunale Ernährnungssysteme als Schlüssel zu einer umfassend-integrativen Nachhaltigkeits-Governance"
Details finden Sie in der Stellenausschreibung hier. Die Bewerbungsfrist ist verlängert worden auf den 21.11.2016. Bei fragen bitte bei sylvia.kruse@ifp.uni-freiburg.de melden. Das Freiburger Winterkolloquium Forst und Holz findet am 26. und 27. Januar 2017 in Freiburg statt. Das Programm des Winterkolloquiums 2017 ist jetzt verfügbar. Prof. Daniela Kleinschmit hält am 1. September 2016 einen Keynote Vortrag zum Thema „Welche Strategien verfolgt Europa im Bereich Bioökonomie“ im Rahmen der Klagenfurter Forst- und Holzimpulse. In diesem Jahr läuft die Veranstaltung unter dem Titel „Bioökonomie – wie wird sie die Forst- und Holzwirtschaft verändern?“. Prof. Daniela Kleinschmit held a keynote presentation on the topic " What Bioeconomy strategies Europe currently follows" during the Klagenfurt "Forst- und Holzimpulse" event. The title of this year's event was "Bioeconomy- how will it change the forest and wood industry?" einen Doktoranden/eine Doktorandin " Integration von Wasser- und Forstpolitik"; PhD Position "Integration of Water and Forest Policy"
Ziel der Arbeit wäre, geleitet durch Theorien der Politikintegration Hindernisse und erfolgreiche Ansätze von integrierten Strategien, Politiken und institutionelle Mechanismen am Nexus von Wasser- und Waldpolitik zu erforschen. Denkbar sind dabei empirische Arbeiten auf verschiedenen Ebenen von der lokalen Ebene über die nationale, europäische bis hin zur internationalen Ebene. -	Inwieweit findet eine Integration zwischen Wald- und Wasserpolitik statt (horizontal/vertikal/diagonal)? The main aim of the PhD project would be to investigate barriers and successful approaches of integrated strategies, policies and institutional mechanisms at the nexus of water and forest policies. Theories of policy integration would be guiding the research. Empirical work on different scales from the local to the national, European and international level are possible. -	How far an integration between water and forest policies takes place (horizontal/vertical/diagonal)? -	Which actors and/or institutions hinder or support the integration of water and forest policies? Teilzeitstelle (65%), Eintrittstermin: 01.10.2016 oder nach Vereinbarung. Die Stelle ist auf 3 Jahre befristet. Das Projekt „Drought impacts, processes and resilience: making the invisible visible“ (DRIeR) erforscht in einem interdisziplinären Verbund aus Natur- und Sozialwissenschaften die Auswirkungen von Trockenheit auf Ökosysteme, Wirtschaftssektoren und Versorgungsleistungen in Baden-Württemberg sowie politische und rechtliche Steuerungsmöglichkeiten des Risikos Trockenheit. 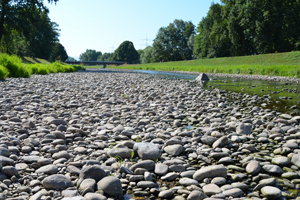 Im Teilprojekt „Water governance: drought policy analysis and stakeholder interaction“ sollen eine Politik- und Akteursanalyse für den Umgang mit Trockenheit in Baden-Württemberg durchgeführt werden. Dabei sollen verschiedene wassernutzende Sektoren als auch über- und untergeordneten Steuerungsebenen Berücksichtigung finden. Zu diesem Zweck sollen Methoden der empirischen Sozialforschung zum Einsatz kommen, insbesondere qualitative und quantitative Medien-und Dokumentenanalyse, qualitative Interviews und Fokusgruppen mit Stakeholdern der Wasserpolitik und Wasserwirtschaft. Dr. Sina Leipold, wissenschaftliche Mitarbeiterin an der Professur für Forst- und Umweltpolitik, hat die Gruppe zum Thema „Transformationspfade und -hindernisse zu einer nachhaltigen Kreislaufwirtschaft in der Bioökonomie – Circulus" eingeworben. Das Bundesministerium für Bildung und Forschung fördert das Vorhaben in den kommenden fünf Jahren mit insgesamt zwei Millionen Euro. Unter Leipolds Leitung werden vier junge Forscherinnen und Forscher aus den Sozial-, Wirtschafts-, Ingenieurs- und Technikwissenschaften Grundfragen der Gestaltung einer nachhaltigen Ressourcenwirtschaft der Zukunft nachgehen. Das Projekt startet im September 2016. Sina Leipold, Metodi Sotirov, Theresa Frei (all Forest and Environmental Policy Group) in collaboration with Georg Winkel (European Forest Institute) recently published two articles on the politics of illegal logging in the prestigious journal "Global Environmental Change". The journal is an outlet for outstanding research results in environmental social science.The two studies analyze the politics of illegal logging related to the US Legal Timber Protection Act, the EU Timber Regulation, and the Australian Illegal Logging Prohibition Act. They uncover unknown policy agendas and discuss implications for design and implementation pathways of these instruments. "Protecting “First world” markets and “Third world” nature"
Am Institut für Umweltsozialwissenschaften und Geographie der Albert-Ludwigs-Universität Freiburg sind im Rahmen des SÖF-Verbundforschungsprojekts „KERNiG – Kommunale Ernährungssysteme als Schlüssel zu einer umfassend-integrativen Nachhaltigkeits-Governance“ folgende Stellen zu besetzen: 1 Projektkoordinator(in) und 3 Doktorand(inn)en. Im Juli 2016 startete die Professur für Forst- und Umweltpolitik mit einem auf fünf Jahre angelegten durch die Eva Mayr-Stihl Stiftung geförderten Forschungsprojekt, das die Aus-wirkungen zunehmender Deregulierung auf den forstlichen Sektor analysiert und zu einer positiven Gestaltung des forstpolitischen Wandels beitragen möchte. Die durch das Kartell- und Wettbewerbsrecht angestoßene Neuorganisation der forstlichen Beratung und Betreuung leitete einen bedeutenden Wandel in der Organisationsstruktur und –kultur der Forstpolitik in Baden-Württemberg ein. Dieser Politikwandel hat weitreichende Auswirkungen auf private Waldbesitzer und deren forstwirtschaftliche Zusammenschlüsse, die im Mittelpunkt der Untersuchung stehen. Ziel des auf fünf Jahre angelegten Forschungsprojektes ist es, bestehende Pfadabhängig-keiten zu analysieren und partizipativ sowie theoriegeleitet nach möglichen Wegen zu deren Überwindung zu suchen. Daraus werden robuste und innovative Strategien der Zusam-menarbeit mit staatlichen und privaten Akteuren und den nachgelagerten Wertschöpfungs-ketten entwickelt. Organisationsentwicklung wird dabei als zentraler Faktor für die Zukunfts-fähigkeit des Sektors Forst und Holz gesehen. 19–20 September, 2016–DIABOLO workshop “Policy needs for and provision of forest information for policy making and practice in Europe: state of the art and the way forward”, to be held in Vienna at the Austrian Research Centre for Forests (BFW). The event is jointly organised by ALU-FR, SLU and BFW. The workshop will bring together key note speakers, users (policymakers and stakeholders) and providers of forest information at European and national level. Attached is the program of the workshop. For more information and participation, please contact Dr. Metodi Sotirov (ALU-FR) metodi.sotirov@ifp.uni-freiburg.de. Dr Sabine Reinecke ,from the Chair of Forest and Environmental Policy, wins the prestigious INOGOV best paper award 2016 for her paper published in the journal of "Environmental Science and Policy". INOGOV is an international network on innovations in climate governance that is funded by the European Commission. The network presents an annual award to young scientists who have published outstanding research results in the field of climate policy. In her paper, Sabine analyses four climate services in three European countries ( UK, Germany and Switzerland) regarding how they institutionalize and enact knowledge brokerage in a credible, salient and legitimate way. Results indicate that policy-oriented approaches appear to be in their infancy and face challenges such as being "less scientific". However, implementing reflexive and flexible learning is possible. Seven scientists and doctoral students from the Chair of Forest and Environmental Policy attended the 1st International Policy Meeting, between 16th and 18th of March 2016. The Policy meeting was held in Hann- Münden and was hosted by the Chair of Forest and Nature Conservation Policy from the University of Göttingen. This meeting was the first one that brought forest policy researchers from Germany together with the Scandinavian forest policy network as well as other international researchers from across Europe. 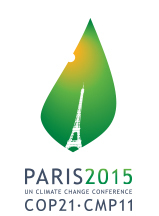 A delegation of 10 national and international scientists, doctoral and Master students of the University of Freiburg headed by Dr. Sabine Reinecke from the chair of Forest and Environmental Policy participated in the recent climate change negotiations under the UNFCCC in Paris between 30 November and 11 December 2015. The chair members Mareike Blum and Sabine Reinecke have used this historical occasion for their ongoing research on global forest and climate initiatives, e.g. for getting in contact with experts from different countries and for conducting interviews, respectively. COP 21 (conference of the parties) is said to have attracted close to 50,000 participants from government, intergovernmental organisations, UN agencies, NGOs or civil society, 25,000 of these served as official delegates. The international conference in Paris played a critical role for deriving at a new climate deal to replace the existing Kyoto Protocol, whose second commitment period will expire in 2020. The Kyoto Protocol served as key contribution (though only by industrial countries – so far) to combat human induced climate change. Accordingly, a central concern in Paris was how to include developing countries in new provisions in meaningful ways. Forests – as covered with the REDD+ mechanism for developing countries - play a critical role for reducing emissions resulting from deforestation, forest degradation or land use changes. With a new semester, our chair is offering several topics for Bachelor and Master Thesis, both in German and English language. If you are interested, please contact the respective contact person. Preliminary results of the study titled "Integrating environmental concerns in Germany’s bioeconomy discourse" by Alexandru Giurca and Daniela Kleinschmit were presented during the latest CASTLE Conference "Towards a Sustainable Bioeconomy" held at Sant Pau Art Nouveau Site in Barcelona, Spain between 21–23 October 2015. A short abstract of the upcoming research article is published in the book of abstracts. Prof. Daniela Kleinschmit, head of the Chair for Forest and Environmental Policy, has presented results of the Global Assessment Report on Forests, Trees and Landscapes for Food Security and Nutrition at the 12th Conference of the Parties (COP) of the UN Convention to Combat Desertification (UNCCD) held in October 2015 in Ankara. Her presentation was devoted to "Main drivers affecting forests and tree-based systems for food security and nutrition – Conflicts in and about forests" in a side event jointly organized by IUFRO, FAO and UNCCD. She highlighted the importance of coherent inter-sectoral policies in this context, “243 million hectares of forests are affected by conflicts […] The challenge is to maintain a balance between ensuring food security and nutrition, and at the same time ensuring the sustainability of forests and tree-based systems”, she declared. Here you can read more about the event. 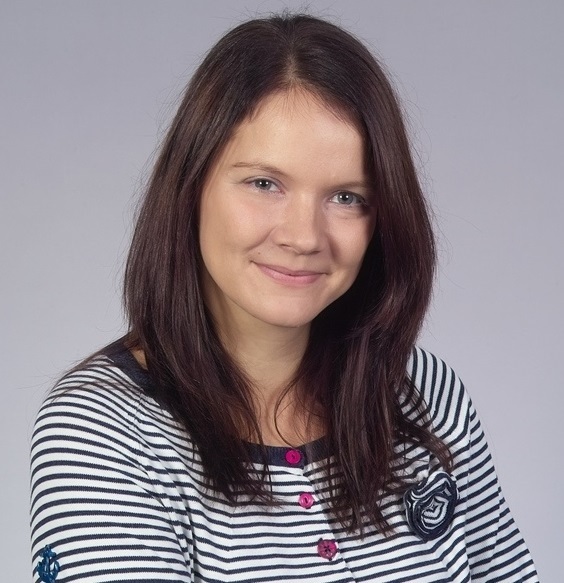 Daniela Kleinschmit contributed with an invited presentation on Discourse Analysis to the international open seminar on ‘Forest policy research from theory to practice’ in the framework of the EFI annual conference held on October 1st in St. Petersburg. The Chair of Forest and Environmental Policy supported a conference on “Orchestrating forest policy making: Involvement of scientists and stakeholders in political processes” in Bordeaux, held in the framework of the Cost Action FP 1207 ORCHESTRA from 23-25 September 2015. Local organizer have been IRSTEA and EFI Atlantic. Zum Abschluss des Moduls Kommunikation und Öffentlichkeitsarbeit präsentierten die Studierenden kreative Vorschläge für eine verbesserte Öffentlichkeitsarbeit des Master Programms Forstwissenschaften an der Uni Freiburg. Neben Broschüren und Ideen für einen verbesserten Internetauftritt wurde von den Studierenden auch ein Video produziert. „Drought Impacts, Processes and Resilience: Making the Invisible Visible“. For the next five years an interdisciplinary team of researchers will be investigating the complexity of processes at the intersection of climate and land use, water systems and governance interactions – which have been occurring during droughts in the past. With a combined expertise from the fields of hydrology, geography, ecology, law and policy and through conducting experiments and simulations, the insights about hidden impacts and neglected risks of the emerging hazard of drought will be made visible and accessible on an online platform. The project is funded by the water research fund Baden-Württemberg and will start in January 2016.
case-study area Helgeå in Southern Sweden. "Across forests and stakeholders: embracing complexity and bringing the landscape dimension closer to Europe"
This contribution offers a brief overview of the ambitious INTEGRAL project that has managed to engage many people across Europe's forested landscapes. It highlights the paramount importance of integrating the different, often contrasting, policy initiatives that impact Europe's forests and stakeholders. Read the blog entry here. From the 6th until 17th July 2015 Dr. Zuzana Dobšinská, a researcher from Technical University in Zvolen is at the Chair of Forest and Environmental Policy for a short-term scientific mission (STSM). Zuzana is hosted by Prof. Dr. Daniela Kleinschmit as a part of the activities in Working Group 3 of the COST Action FP 1207 “Orchestrating forest-related policy analysis in Europe (ORCHESTRA)”. During her stay in Freiburg, she will deal with participation of stakeholders and scientists in forest policy decision making processes in European countries. The objective is to summarize received case study country reports elaborated by national experts from the data received by qualitative stakeholder interviews. The expected result is the synthesis of obtained results in the form of a state-of-art report. 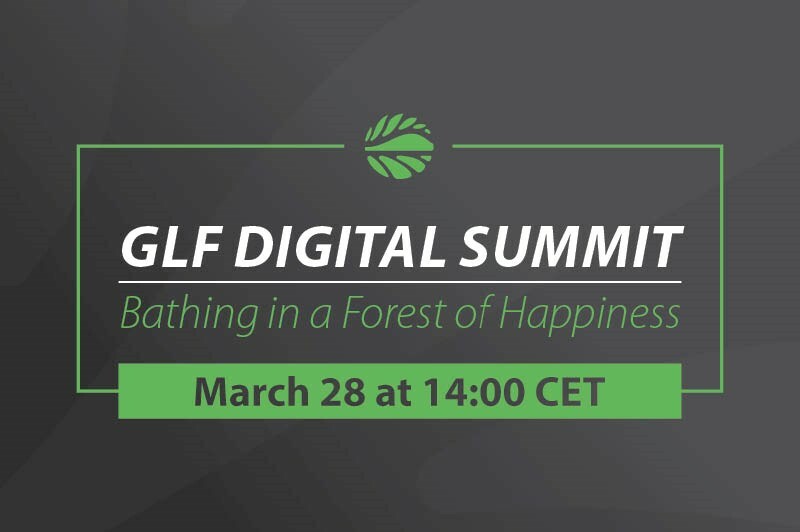 Georg Winkel, Senior Researcher at the Chair of Forest and Environmental Policy, has contributed as invited panelist to the panel discussion on "Forest for Society" as part of the European Commission's Green Week, the biggest annual conference on European environment policy. The discussion had three main foci: biodiversity and nature, bioeconomy and bioenergy, and climate change. Georg Winkel underlined the importance of science and research tackling the challenges that Europe face regards the three topics, and highlighted past and recent work at the Chair Group with regard to the debate. 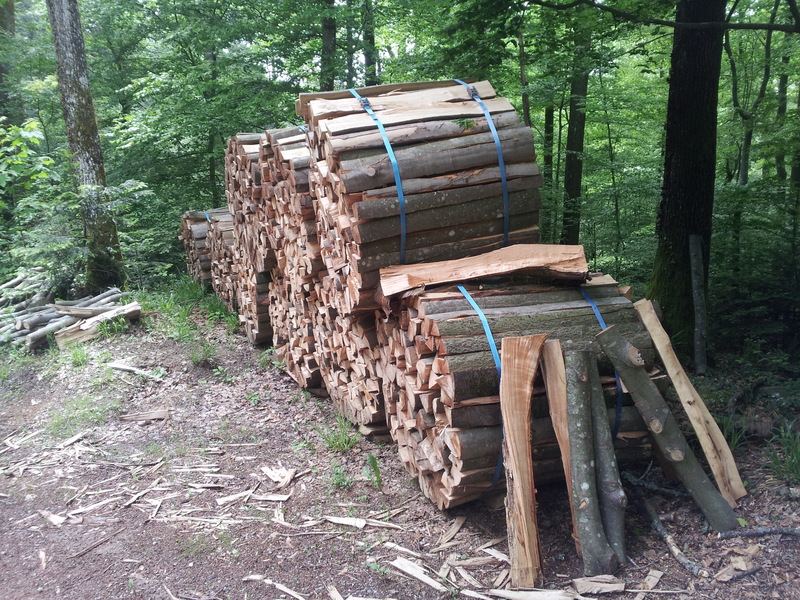 The study reviews state of the art research on the EU Timber Regulation and the FLEGT Action Plan and provides an overview of the effectiveness and impact of these instruments. Finally, it presents the lessons learned so far and discusses policy implications. The report “Forests, Trees and Landscapes for Food Security and Nutrition - Contributing to the "Zero Hunger Challenge", was launched today in New York at a side event of the United Nations Forum on Forests. This peer‐reviewed publication and research process was coordinated by the International Union of Forest Research Organizations (IUFRO) on behalf of the Collaborative Partnership on Forests (CPF). The assessment report in hand provides comprehensive scientific evidence on how forests, trees and landscapes can be – and should be - an integral part of the solution to food-security challenge. The report thereby focuses on the potential to improve nutrition and ensure the livelihoods of the most vulnerable groups of society, as the limitations of agricultural production are becoming increasingly clear and the effects of climate change more pronounced. You can download the report and join the global conversation on this important topic. The symposium aimed at a review of the state of global discussions and knowledge regarding the role of forests in the bio‐economy. The meeting was organised by the International Union of Forest Research Organizations (IUFRO), the world’s largest network of forest scientists, in cooperation with the Austrian Ministry of Agriculture, Forestry, Environment and Water Management (BMLFUW). Der Privatwald im Elztal steht am 15. September im Fokus der Wissenschaft. 70 Forstwissenschaftler aus ganz Europa informieren sich vor Ort über Waldwirtschaft und die Arbeit der Forstverwaltung. Im Mittelpunkt steht ein Treffen mit Privatwaldbesitzern in Yach. Um europaweit verschiedene Waldbesitzertypen in ihre Untersuchungen einbeziehen zu können, verfolgen die Forscher einen innovativen Ansatz, den sie ´Travellab´ (etwa: Reiseforschung) nennen. Das Elztal ist Station einer ganzen Reihe von Konferenzen, die die Wissenschaftler zu verschiedenen Waldorten in ganz Europa führen und ihnen vor Ort die intensive Beschäftigung mit Waldbesitzern ermöglichen. Nach Treffen in Ungarn und Finnland besucht die Gruppe nun auf Einladung der Freiburger Professur für Forst- und Umweltpolitik den Landkreis Emmendingen. Die Forscher beschäftigen sich mit Veränderungen in der Besitzstruktur im Privatwald, der Waldbewirtschaftung und Holzvermarktung, dem Dienstleistungsbedarf der Eigentümer sowie den aktuellen politischen Rahmenbedingungen. Es wird erwartet, dass sie Vorschläge für eine Weiterentwicklung der Forstpolitik in Europa formulieren. Die Waldbesitzer im Elztal leisten mit ihrer Diskussionsbereitschaft einen wichtigen Beitrag für das grundlegende Verständnis der Wissenschaftler. 79215 Elzach-Yach statt. Nach einer Begrüßung durch Bürgermeister Tibi folgen Präsentation verschiedener Waldbesitzer mit ihren Problemen und Erwartungen an die Politik. Anschließend stehen der Tagungsleiter, Prof. Dr. Ulrich Schraml von der Universität Freiburg und der Koordinator der Aktion, Dr. Gerhard Weiß, von der Universität Wien für Fragen zur Verfügung. Die Veranstaltung findet im Rahmen einer dreitägigen Tagung über Privatwaldbesitz in Europa an der Albert-Ludwigs-Universität Freiburg statt. Das Forstamt Emmendingen und die Stadt Elzach unterstützen die Veranstaltung. Sie wird durch Mittel der Europäischen Union gefördert. D - 79106 Freiburg i. Br. Am 28.11.2013 fand um 14 Uhr im Herderbau der Universität Freiburg eine Pressekonferenz statt. Die Ergebnisse wurden von Herrn Prof. Dr. Ulrich Schraml sowie Frau Dr. Marie-Ève Maillè vorgestellt. Nährere Informationen zu der Pressekonferenz erhalten Sie hier, zudem haben Sie die Möglichkeit, hier einen kurzen Radiobeitrag zu diesem Thema zu hören. Von 2008 bis 2012 arbeitete die Forstliche Versuchs- und Forschungsanstalt Baden-Württemberg (FVA) zusammen mit der Universität Freiburg im Auftrag des Ministeriums für Ländlicher Raum und Verbraucherschutz Baden-Württemberg (MLR) an dem Forschungsprojekt "Luchs in Baden-Württemberg". In diesem interdisziplinären Projekt wurden erstmals eine differenziert ökologische Lebensraumanalyse und eine Analyse der sozialen Tragfähigkeit für Baden-Württemberg erstellt und miteinander kombiniert, um die Eignung des Landes Baden-Württemberg für eine Luchspopulation sowohl auf naturwissenschaftliche, als auch sozialwissenschaftliche Grundlagen zu stützen und Handlungsempfehlungen für die weitere Arbeit der Arbeitsgruppe Luchs (www.ag-luchs.de) zu geben. Die Arbeiten der Freibuger Forstwissenschaftlerin Dr. Angela Lüchtrath zur Bewertung des Luchses durch verschiedene Akteursgruppen finden eine weitere Würdigung. Die Ergebnisse der Evaluation der Pilotprojekte zur direkten Förderung der Holzvermarktung und der Waldbewirtschaftung in Nordrhein-Westfalen wurden durch Prof. Dr. Ulrich Schraml und Dr. Andy Selter am Ministerium für Klima, Umwelt, Landwirtschaft, Natur- und Verbraucherschutz vorgestellt. Die im Mai 2013 abgeschlossene Untersuchung der Freiburger Professur für Forst- und Umweltpolitik gibt Antworten auf die Fragen, ob und wie durch die direkte Förderung der Forstwirtschaftlichen Zusammenschlüsse eigenständige Waldbewirtschaftungs- und Vermarktungsstrukturen auf- und ausgebaut werden können und unter welchen Rahmenbedingungen eine direkte Förderung des Waldbesitzes möglich wäre. Den vollständige Bericht können Sie hier herunterladen. Im Rahmen einer Pressekonferenz zu der die Schwarzwald Toursistik zusammen mit ForstBW, den Naturparken und dem Schwarzwaldverein eingeladen hatte, wurden am 17. Juni die Ergebnisse einer Untersuchung über Konflikte in Erholungsgebieten vorgestellt, die das IFP drei Jahre lang begleitet hatte. Unter der Überschrift "Wandern mit/ und / oder Mountainbikern" stellte Prof. Ulrich Schraml die wichtigsten Ergebnisse und die Folgerungen für das Management von Erholungsgebieten vor. Sie waren Grundlage des neuen Strategiepapiers das zukünftig die Regelung der Nutzung der Wege im Schwarzwald durch Mountainbiker bestimmen soll. Die europäische Initiative Facesmap (Forest Land Ownership Change in Europe: Significance for Management and Policy) hat mit einem ersten Treffen in Sopron (Ungarn) Fahrt aufgenommen. Ziel ist es, europäische Wissenschaftler zu vernetzen, die an Fragen des Kleinprivatwaldes interessiert sind. In drei Arbeitsgruppen werden Fragen des Eigentümerwandels, der Waldbehandlung und der Forstpolitik bearbeitet. Die Professur für Forst- und Umweltpolitik unterstützt das Vorhaben vor dem Hintergrund der umfangreichen Forschungserfahrung in diesem Feld. Prof. Dr. Ulrich Schraml leitet die Arbeitsgruppe Forstpolitik und gehört der vierköpfigen Steuerungsgruppe an. Die Professur für Forst- und Umweltpolitik der Universität Freiburg und WILCON - Wildlife Consulting bearbeiten zusammen das Projekt „Zukunftsfähige Organisationsstrukturen für ein revierübergreifendes Wildtiermanagement“. Ziel dieses Projektes ist es, Grundlagen für eine Weiterentwicklung bestehender Regelungen in Baden-Württemberg zu schaffen und Handlungsempfehlungen für eine etwaige Neugestaltung von Organisationsstrukturen für das revierübergreifende Wildtiermanagement zu liefern. Mit dieser Zielsetzung steht das Vorhaben in direktem Kontext zur Novellierung des Landesjagdgesetzes in Baden-Württemberg. Vor diesem Hintergrund waren die im Rahmen der Novellierung des Landesjagdgesetzes beteiligten Akteure zu einem „Workshop“ an die Universität Freiburg eingeladen. Prof. Dr. Ulrich Schraml und Dr. Angela Lüchtrath konnten 30 Interessenvertreter in Freiburg begrüßen. Anliegen war es, gemeinsam das Thema „Hegegemeinschaften als zukunftsfähige Organisationsstrukturen für ein revierübergreifendes Wildtiermanagement“ ergebnisorientiert zu bearbeiten. Als Ergebnis wurden die wichtigsten Kriterien für eine erfolgreiche Etablierung von Hegegemeinschaften herausgearbeitet und die Positionierung der beteiligten Organisationen zu diesem Thema dokumentiert. Unterstützt wurde die Veranstaltung von drei fachlich versierten Referenten, die aus ihrem Blickwinkel und auf Grund ihrer praktischen Erfahrungen verschiedene Ansätze für ein revierübergreifendes Wildtiermanagement mit allen Vor- und Nachteile darlegen konnten. "Freiburg Talks on International & European Forest Policy"
We invite you to join us for the second season of our seminar series on international and European forest policy. This seminar series provides a platform for leading scholars and renowned experts from organizations to share their thoughts on important topics and development related to international and European forest policy. The challenge of how to design global and European institutions for sustainable forest management will be a central theme throughout this series. Additionally, case study research and innovative political perspectives on crucial issues related to forest policy will be presented to the audience. Talks will take place once a month during the summer semester SoSe 2013 from 1:15 p.m. - 2:30 p.m.* in Herderbau room 100/200. For a detailed schedule go to our website or follow us on facebook. Each talk will be 30 minutes of presentations followed by 45 minutes of discussionook . Interested scholars and students are invited to make individual appointments with a speaker following the public session. To schedule a meeting, please contact Carolin Maier (Carolin.Maier@ifp.uni-freiburg.de). *Exact time of some presentations may differ to accomodate scheduling conflicts. an der Professur für Forst- und Umweltpolitik ist ein neues Thema für eine Masterarbeit zu vergeben. Im Rahmen des FuE-Vorhaben: "Wälder und Klimawandel" im Auftrag des Bundesamtes für Naturschutz wurde eine Broschüre zu wesentlichen Projektergebnissen erstellt, die HIER online zur Verfügung steht. Die Broschüre stellt wesentliche Ergebnisse zu den Auswirkungen des Klimawandels auf den Naturschutz im Wald und die Waldpolitik in anschaulicher Weise dar. Ebenfalls erschienen ist die Publikation "Wälder und Klimawandel: Künftige Strategien für Schutz und nachhaltige Nutzung" in der Schriftenreihe Naturschutz und Biologische Vielfalt; diese kann über den Buchhandel bezogen werden. DEADLINE for abstract submission: February, 10th, 2013. For further specifications please see click here. This seminar series provides a platform for leading scholars and renowned experts from organizations to share their thoughts on important topics and development related to international and European forest policy. The challenge of how to design global and European institutions for sustainable forest management will be a central theme throughout this series. Additionally, case study research and innovative political perspectives on crucial issues related to forest policy will be presented to the audience. Talks will take place once a month during the winter semester 2012/13 from 1:15 p.m. - 2:30 p.m.* in Herderbau room 100. For a detailed schedule of all presentations click here (pdf). Each talk will be 30 minutes of presentations followed by 45 minutes of discussion. Interested scholars and students are invited to make individual appointments with a speaker following the public session. To schedule a meeting, please contact Carolin Maier (Carolin.Maier@ifp.uni-freiburg.de). Dr. Metodi Sotirov ist vom 16. Juli bis zum 15. Oktober 2012 als Gastwissenschaftler am School of Forestry and Environmental Sciences, Policy and Management, Yale University, tätig. Er wird sich dort mit Fragen von Politikwandel und Politikintegration in der europäischen Naturschutz- und Forstpolitik beschäftigen. Während seines Gastaufenthaltes arbeitet Metodi Sotirov im Rahmen des von Prof. Ben Cashore an der Yale Universität geleiteten waldpolitischen Forschungsprogrammes und der Initiative über Governance, Umwelt, und Märkte. Der Wald stand bei der Projektstudie, die das Institut für Forst- und Umweltpolitik der Universität Freiburg für die Gemeinde Freiamt erstellt hat, im Zentrum. Sieben Studenten haben zusammen mit dem wissenschaftlichen Mitarbeiter Dr. Andy Selter und Professor Ulrich Schraml die Ergebnisse des Projekts, das sich über sechs Wochen hinzog, dem Gemeinderat Freiamt vorgestellt. im Kaisersaal des Historischen Kaufhauses in Freiburg statt. In einer Vielzahl von Untersuchungen ist es Meyer gelungen, praxistaugliche Empfehlungen für eine Integration anspruchsvoller Naturschutzziele in die Waldbewirtschaftung zu geben. Das unabhängige Preiskuratorium hob in seiner Empfehlung insbesondere Meyers innovative methodische Ansätze hervor. Die Preisverleihung wurde zusätzlich als Beitrag Freiburgs zum Deutschen Aktionstag für Nachhaltigkeit anerkannt, der gleichzeitig stattfindet und an zahlreichen Orten in Deutschland mit Aktionen zum Thema Nachhaltigkeit begangen wird. Neben dem Preisträgervortrag zu Ergebnissen der Naturwaldforschung und der Laudatio auf den Preisträger sprechen Rektor Prof. Dr. Hans-Jochen Schiewer für die Universität Freiburg, Bürgermeister Prof. Dr. Martin Haag für die Stadt Freiburg und der Kuratoriumsvorsitzende Prof. Dr. Karl-Reinhard Volz. Ein passendes Rahmenprogramm und ein anschließender Empfang runden das Programm der Preisverleihung ab. Vom 16. bis 18. April werden 60 Vertreter aus 14 europäischen Ländern an der Fakultät zu Gast sein und über Forschungsdesign und Methoden des im Rahmen des 7. EU Rahmenprogramms finanzierten Projekts "Future-oriented integrated management of European forest landscapes" diskutieren und entscheiden. Das Institut für Forst- und Umweltpolitik ist wissenschaftlicher Koordinator des INTEGRAL-Projekts, die Leitung und Gesamtkoordination obliegt der SLU in Schweden. Mehr Informationen zum Projekt finden Sie auf der offiziellen Homepage www.integral-project.eu. Die Deutsche Forschungsgemeinschaft hat das Forschungsvorhaben "Discursive fragmentation of the international forest regime complex: Towards a better understanding of multi-level forest policy discourses" bewilligt. In dem Vorhaben werden künftig zwei Doktoranden Diskurse der Waldpolitik auf der Ebene globaler Regime und in ausgewählten Länderfallstudien analysieren. Für nähere Informationen zum Vorhaben wenden Sie sich bitte an Dr. Georg Winkel. Am 28.02.2012 findet ab 19 Uhr im Hörsaal 1199 des Kollegiengebäudes I der Albert-Ludwigs-Universität Freiburg (Platz der Universität; 79085 Freiburg) eine Informationsveranstaltung zum Thema "Auerhuhn und Windkraft" statt. Georg Winkel war am 8. Februar als Einzelsachverständiger bei der öffentlichen Anhörung zur Waldstrategie der Bundesregierung im Rahmen der 61. Sitzung des Ausschusses für Ernährung, Landwirtschaft und Verbraucherschutz im Deutschen Bundestag eingeladen. Seine Stellungnahme finden Sie hier . Eine Fernsehaufzeichnung der gesamten Sitzung finden Sie hier und weitere Stellungnahmen anderer Sachverständiger hier. Das Institut für Forst- und Umweltpolitik der Universität Freiburg (IFP) um Prof. Dr. Karl-Reinhard Volz und Dr. Metodi Sotirov ist wissenschaftlicher Koordinator eines neuen Forschungsverbunds zur Landnutzungspolitik europäischer Waldökosysteme. Der Verbund mit dem Namen INTEGRAL (Future-oriented integrated management of European forest landscapes) wird aus dem siebten Forschungsrahmenprogramm der Europäischen Union mit sieben Millionen Euro gefördert. Das Finanzvolumen des Freiburger Teilprojekts beträgt 855.000 Euro. Das Projekt ist am 1. November 2011 gestartet und läuft über vier Jahre. Die administrative Koordination liegt bei der Schwedischen Landwirtschaftsuniversität (SLU). Das Institut für Forst- und Umweltpolitik hat gemeinsam mit dem Institut für Landespflege einen dreitägigen Expertenworkshop zum Thema “Waldnaturschutz und Klimawandel“ durchgeführt. Während des Workshops wurden zum einen Leitbilder und Managementstrategien des Naturschutzes unter Szenarien des Klimawandels und zum anderen Implikationen des Klimawandels auf die forstpolitische Steuerung mit renommierten Experten diskutiert. Das Programm des Workshops und ein Hintergrundpapier zum Workshop finden Sie hier. Die Ergebnisse des Workshops fließen in das FuE-Vorhabens „Wälder und Klimawandel“ ein, welches vom Bundesamt für Naturschutz unterstützt wird. Für weitere Information kontaktieren Sie bitte Georg Winkel oder Sabine Storch. „Fit für 2011“ lautete das Motto des 8. Bundeskongresses für Führungskräfte forstwirtschaftlicher Zusammenschlüsse. Mehr als hundert Vorstandsmitglieder und Geschäftsführer sind der Einladung der Arbeitsgemeinschaft Deutscher Waldbesitzerverbände und des Bundesministeriums für Ernährung, Landwirtschaft und Verbraucherschutz nach Wernigerode gefolgt, aktiv Forstpolitik zu gestalten. Zusammen mit der Firma UNIQUE moderierte das Institut für Forst- und Umweltpolitik einen Arbeitskreis, der konkrete Vorschläge für Fortbildungsangebote für Führungskräfte forstwirtschaftlicher Zusammenschlüsse lieferte. Diese sollen in die zukünftige Förderlandschaft eingehen und bilden Schwerpunkte im Bereich der Organisationsentwicklung. Publication of policy paper "Greening REDD+: Challenges and opportunities for forest biodiversity conservation"
The policy paper is a result of the project "The protection of forests under global biodiversity and climate policy. " It is based on analysis of the ongoing REDD+ negotiations as well as on the discussions and results of an international expert workshop held at the University of Freiburg (Germany) in April this year. The policy paper is intended to promote and support the integration of biodiversity safeguards and benefits under REDD+ at different governance levels with a particular focus on the expertise provided by the CBD. The printed version will be available at the upcoming CBD workshop on Biodiversity and REDD+ in Nairobi this month and at CBD COP10 in Nagoya. Das Institut für Forst- und Umweltpolitik (IFP) der Universität Freiburg freut sich über den Start und die Koordination eines neuen 3-jährigen europäischen Forschungsverbunds, der sich mit der Umsetzung der Europäischen Naturschutz- und Biodiversitätspolitik beschäftigt (NATURA 2000). Der „BeFoFu“ („European Beech Forests for the Future“) genannte Verbund wird unter dem paneuropäischen Biodiversa-Netzwerk finanziert. Die Finanzierung der Forschung am IFP erfolgt dabei durch das Bundesministerium für Bildung und Forschung. BeFoFu befasst sich mit politischen, ökonomischen und ökologischen Aspekten des Schutzes der europäischen Buchenwälder. Dr. Georg Winkel vom IFP ist Verbundleiter und Koordinator des Teilprojektes „Governance“. Weitere IFP-Forscher sind Dr. Metodi Sotirov (post-doc), Lars Borrass (Doktorand) und Tarik Wegener (Wissenschaftliche Hilfskraft).